“I’m sorry, but we cannot let you on the flight.” Your stomach drops. Months of planning only to be denied boarding. The 6-month validity isn’t a US rule, but it is imposed by some foreign countries. While all foreign countries require a passport for entry, a lesser known rule in some countries is that the passport be valid for a certain number of months after the traveler leaves the country, or after the date of entry. It’s usually 3 or 6 months! When in doubt, go with the 6 month rule. Passports are good for 10 years, so just get it renewed now and avoid the issue on your upcoming trip. You can easily find out how to renew a passport on your government website. Foreign countries want you to have ample amount of time remaining on your passport before traveling there. One such reason is that they want you to leave when you are supposed to! 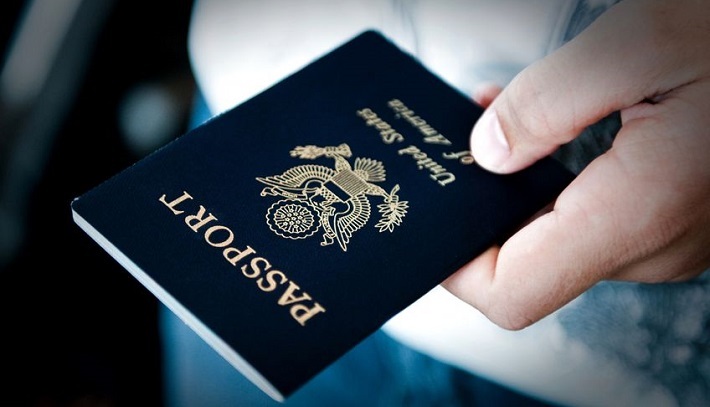 An expired passport may hinder your ability to leave their country. Generally, most foreign countries will allow you to stay in the country 3 months before you need a visa. However, some countries (particularly in the Schengen region of Europe) are expanding the passport validity rule to 6 months. Some countries, China for example, require you to have a visa before you leave the US. And, if you are applying for a visa, you cannot get it if your passport expires in less than 6 months. That’s why it’s best to plan ahead and prepare to get the visa if your destination country requires. Before you get the visa, you must first check your passport to see if it is valid so that you apply. What Happens if my Passport Expires in Less Than 6 Months? So what does this all mean? In short, if you travel with a passport that expires in 6 months, then you risk being denied boarding (this goes for both airlines and cruise ships) or being stranded in a foreign country. In fact, the U.S. Passports & International Travel site says that you risk being denied boarding in your country of origin, while changing planes, or you risk being denied entry at your final destination. Yikes! If you’re anything like me, you don’t want that to happen. There’s nothing like being delayed to ruin your travel plans. Not to mention the high price tag and stress of changing flights and travel plans. Let’s just skip the headache and remember to check the passport before you leave. How Do I Check my Passport Expiration? If you have a US passport, the expiration date is located inside the front cover, next to your photo. While your passport is invalid after that date, some countries may not allow entry if that date is less than 6 months. If, for some reason, you made it to your destination country, that country might not let you board a flight back to the US due to their passport validation regulations. So, you could end up stranded in the airport at your destination. Getting stuck in the US is one thing, but being stuck in a foreign country with only a suitcase and an invalid passport is a whole different story. How Soon Do I Need to Renew my Passport? If you’re planning your dream vacation, don’t let an expiring passport keep you from being denied boarding. Don’t just pack your passport. Check to make sure it hasn’t expired. It is recommended to renew your passport if it expires in 9 months. 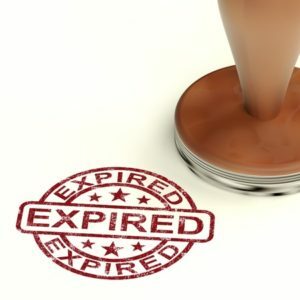 This will give you enough time to apply for renewal before the 6-month validation rule applies. But what if you are already planning a trip and your passport expires in less than 9 months? Well, you can look into expediting your passport renewal. Typically, the expedited process from the post office takes around 3 weeks and isn’t always guaranteed. You may also do this by visiting a regional passport agency if you’re lucky enough to live near one and have time to wait in line all day to process a passport. Alternatively, there are private passport expediting companies. However, they do charge a fee anywhere from $75 to $400. If you’re intent on making your trip, this may be your only option. There is a lot that goes into planning a dream vacation. Most importantly, remember to check your passport and renew it if it expires in less than 9 months. While the passport validity rule for some countries is 6 months, this should give you enough time to apply for a new passport. Don’t let the 6-month validity rule in some countries ruin your travel plans. Plan before you pack. Be smart. Be safe. And Bon Voyage! Nina Gonzalez is a marketing manager, social guru, sometimes outdoorsy wanderlust. Nina earned her degree in Art History at Florida Atlantic University. She is avid art lover, pet cuddler and on a good day a cyclist. Her favorite travel experience was her first to Italy as a bone marrow courier.